This very pretty lidded bowl was made during the Art Deco period in Belgium. 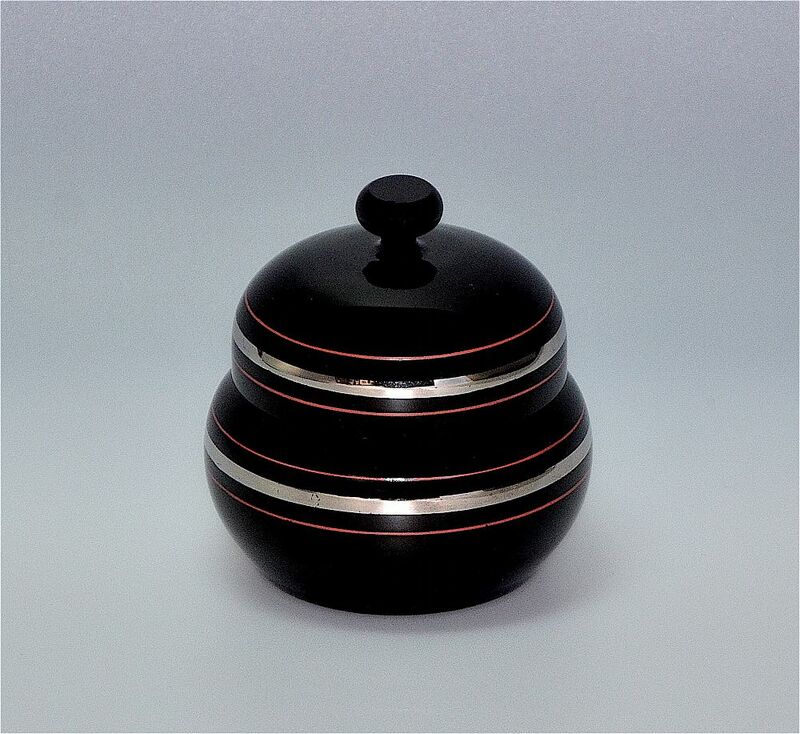 it is made of black glass and both the bottom and the lid have red enamel and silver banding. It is not signed but appears to be by the same factory as the small vase that is in on the site.